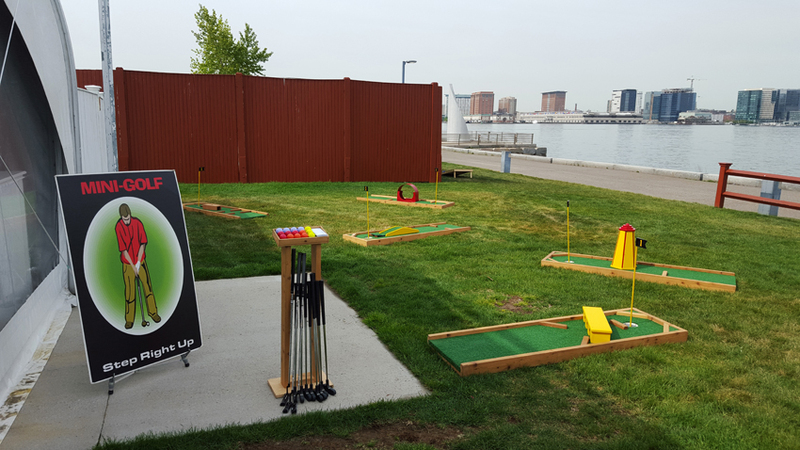 Our Mobile Compact 9 Hole Mini Golf Course is great for tournaments and all sorts of events. Each hole is approx. 6ftx3ft and each offers its own unique challenges. 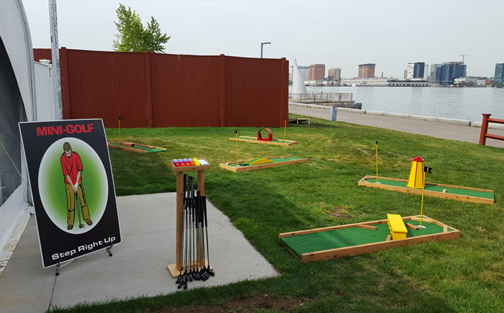 Our Mobile Compact 9 Hole Mini Golf Course is great for tournaments and all sorts of events. Each hole is approx. 6ftx3ft and each offers its own unique challenges. Fun for all ages and versatile for most venues and spaces due to its compact size and flexible/layout design. Mini Golf forTeam Building, Schools, Bar/Bat Mitzvahs, Kids/Graduation Parties, College and Corporate Events in Boston and New York.